If you’re looking to add a touch of beauty to the world by starting your own ecommerce flower store then you’ve arrived at the right place. 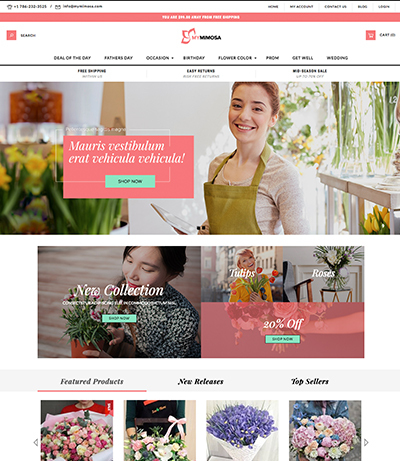 We help you avoid the pain of building an ecommerce site and give you the perfect flower shop ecommerce website template that comes built in with every ecommerce feature you will ever need to grow your store. If you’re going to use 3dcart as your ecommerce platform, the set up for your online flower shop will be a simple, few step process. On top of that, you can expect to have support guide you through anything that may throw you off along the way. Here is a simple 3 step process to get up and running to start selling flowers online. The first step, if you haven’t done so already, is to sign up for your free trial of 3dcart. 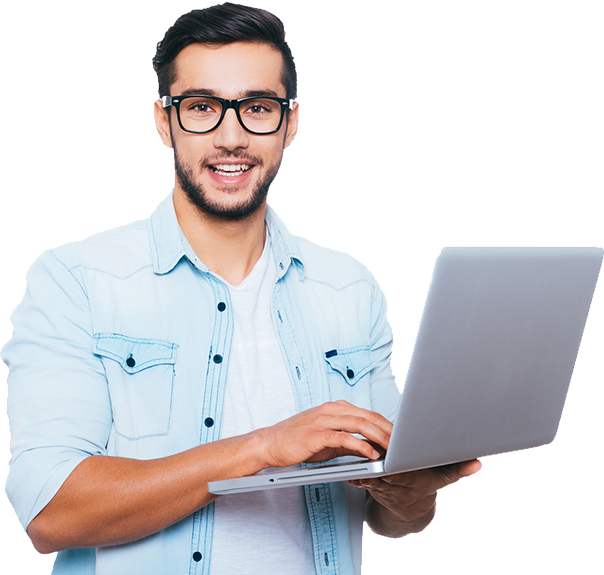 You will get 15 days to test out the software and learn about all the benefits it can provide your eCommerce store. Next, you want to pick the theme that you think will best fit your store. 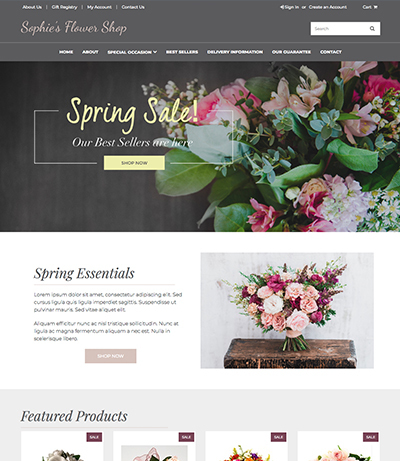 While we have a few templates put together with the flower shop in mind, you are free to use any theme you see in our theme store to build your flower shop with. You are not limited to any specific theme. We have a gallery of both free and premium themes that you can use to begin building your store. The next step is to begin building your online flower shop. You want to map out your menu, design the home page and begin uploading your products. We have a ton of information available in our knowledge base if you are ever to need guidance on how to do so. Overall the system is super intuitive and working through the tabs will usually get the job done. Support is also available 24/7 if need be. Once your products are up and your store is pretty as ever, its time to set up your processes. 3dcart has over 160 payment gateways to help you process payments from your customers, so you can rest assured knowing that your customers will be able to pay you one way or another if you’re using 3dcart. You also want to make sure all your shipping is set up properly. 3dcart is integrated with all of the top shippers and makes this a seamless experience. What Happens When the Free Trial Expires? Once the free trial is up, you should have an idea of what tools you will need for your flower shop. With this information, you can make the decision on which pricing plan will best fit your needs. All you have to do is enroll in a plan and your stores remain as is, you’re to start to generating revenue! If you’re convinced, pick a theme from above and signup for a free trial today.